Scroll down to shop 20 pieces sure to complete your workday looks. Understated is the best way to do edgy for the office. 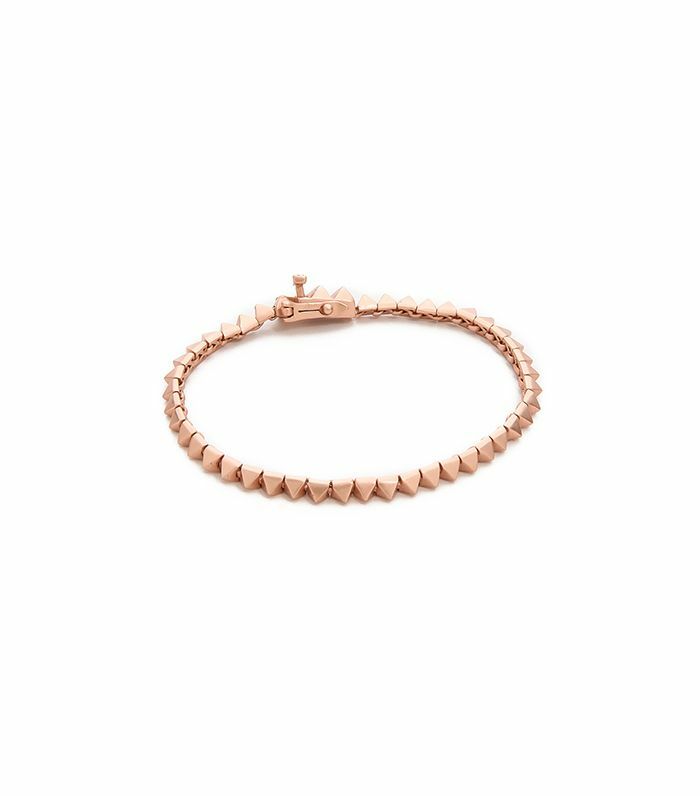 Enter this cool rose gold bracelet. The bar stud is currently our favourite of the stud pack. We’re obsessed with this cool horn pendant from one of our favourite jewellery lines. Wear this adjustable knuckle ring on any finger—so cool mixed with other rings. We’ll never go back to plain hoops again, once this unique pair joins our jewellery collection. You can’t beat the price on this pretty, delicate ring. We like these bold rings worn on the same finger, with the smaller one above the knuckle. Keep your other fingers bare to let them shine. Stacks of bangles are too noisy for the office. Wear this cool, sturdy cuff instead. 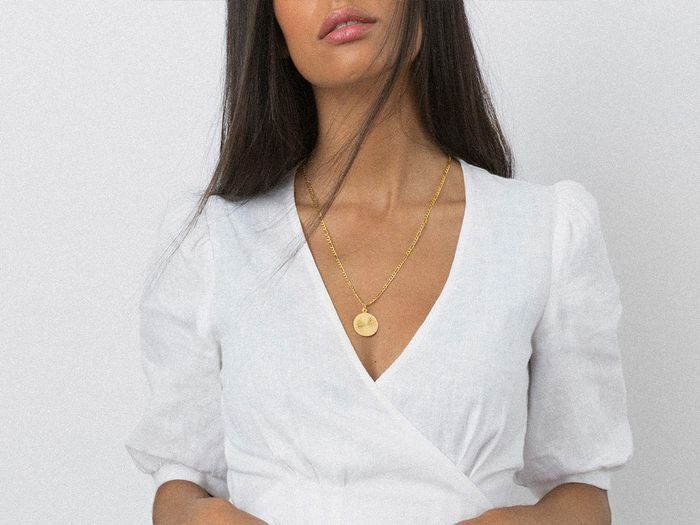 This bar necklace (one of our favourite styles) pairs perfectly with other delicate necklaces, for a stylish layered effect. These studs are so unique. Prepare to field tons of compliments. Have you noticed that we’re fans of delicate rose gold necklaces? This one is particularly cool and minimalist. The juxtaposition of modern and raw elements makes for a very cool cuff. Pair with dainty silver rings to complete the hand party. This mixed metal ring makes a big statement for a low price. Here’s your proof that trendy ear cuffs can work for the office. We love rose gold mixed with other metals for an office-friendly ring combination. Now this is how you power-accessorize. A timeless, interesting bracelet that’s affordable to boot? Add to cart. You’ll reach for this modern ring set whenever you’re in a rush, as it’s sure to complement most outfits. 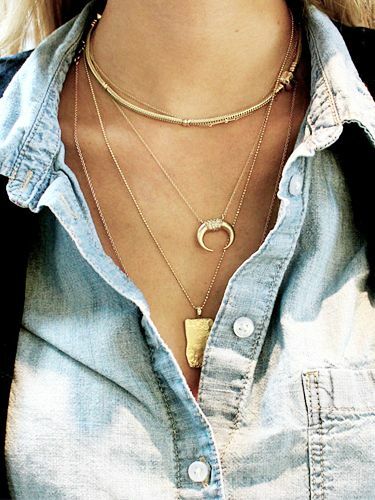 What's your go-to jewellery piece for work? Comment below!